Even as I type that, I had to question the validity of the statement, if only because of Lost Odyssey. Half that game was literally reading scrolls, pages and pages of scrolls. 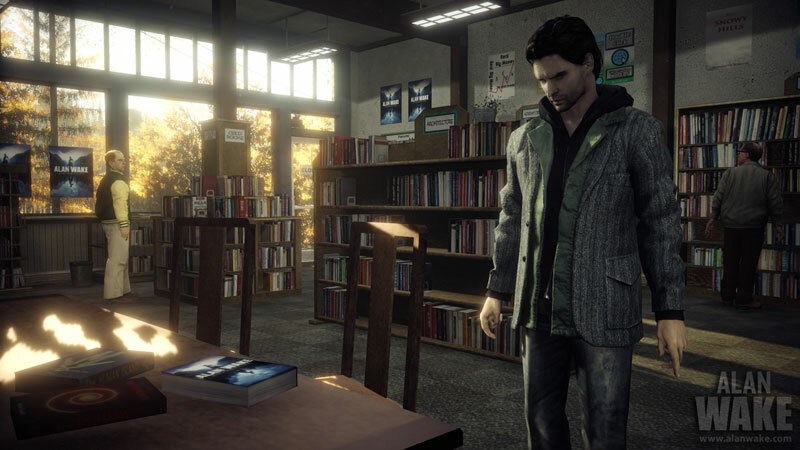 With Alan Wake, it's more that playing the game is the closer experience to reading a Stephen King thriller than a video game is ever going to get. Although it takes place in Washington state instead of Maine, there are many similarities and having read so many King books I kept mixing up the locations. There are many varied types of scenes and you're never quite sure whether you're playing a dream sequence, a horror game, or a little bit of both. It's games like this that help me when I make the claim that video games are a new narrative form. Now, there may be some crap out there as there is in any style of artwork (Go listen to Billboard's Top 10 and come back and argue with me), but well produced games with an extremely deep and intriguing plot line make me feel that we've gone beyond the standard "video game" that our parents warned us would rot our brains. We have arrived at the point where games can tell a more engrossing story than any two-hour movie. When done correctly, games like Skyrim, Half Life, Mass Effect, Red Dead Redemption, and Alan Wake can create connections with the characters that no movie can match, even in a three-and-a-half-hour director's cut. How could they when you spend over 150 hours making decisions that effect your characters in some of the aforementioned pieces of video game perfection? The only thing that comes close is books. Anyone who invested the time to read the unabridged version of The Stand knows what I'm talking about. If anything, we develop closer relationships and care more about the characters we create than we do with most other forms of entertainment. 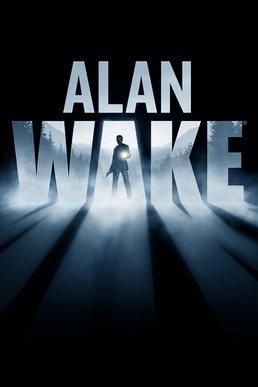 Not only that, but Alan Wake continually finds pieces of a manuscript throughout the game that reference recent action in the game. That way, you not only end up playing the game, but literally reading it, as well. Some people may hate being forced to read while playing games, but I'm not one of them. In this case, it just added to the depth of your confusion as to what was really going on. It also helped to humanize the characters and give more detail about action scenes that may have been too hectic to completely digest on the first playthrough. I know people who refused to finish the evil quests on Oblivion because they had created a good character and didn't want to damage their reputation. People skipped half a game in order to protect the character they'd created. If that isn't dedication to a fictional creation, then I don't know the definition. Something that can have that much of an effect on the player has to hold some validity as a respectable form of art. These games aren't cheap. By skipping half the quests, they're essentially saying, "It's worth thirty dollars to me in order to keep my personal creation the way I want him or her." When was the last time you spent thirty dollars on a good movie (plus popcorn and Dr. Pepper) and left halfway through? 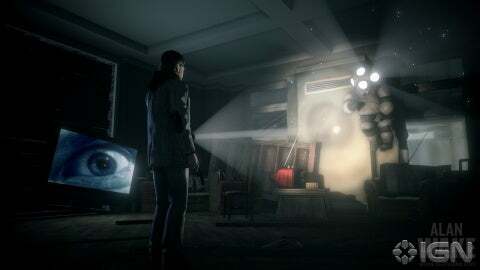 One thing that Alan Wake does masterfully, as well as any game not called Dead Space, is use light and darkness to not only set the mood, but to effect the characters, as well. For one thing, when you're in a lighted space, you literally feel relieved. The endorphins rush in and you relax, knowing you're safe for the time being. Darkness, on the other hand, is a baaad sign. Any time the scene begins and there isn't a sun in sight, get your flashlight and gun out quickly because something is coming to kill you. Don't ask why! I was a bit confused through some of this game, too. Just do it! Alan Wake succeeds at having memorable characters, a story that grabs you yet keeps you guessing right up to the end, and some of the best use of light in a game I've ever seen, While it doesn't take even one quarter as long as Skyrim, you still get invested in the characters. The writers were creative and I commend them for trying something beyond the average shooter. This is a unique game unlike anything else I've played. If you like your games heavy on story with exciting action instead of just another special forces first person shooter, then please don't overlook this one-of-a-kind gaming experience. Bonuses: +1 for a totally unique and gutsy story. It took five years to make this game and the polish was worth every minute of it! Penalties: -1 for a bit of repetitiveness in the enemies you have to face.